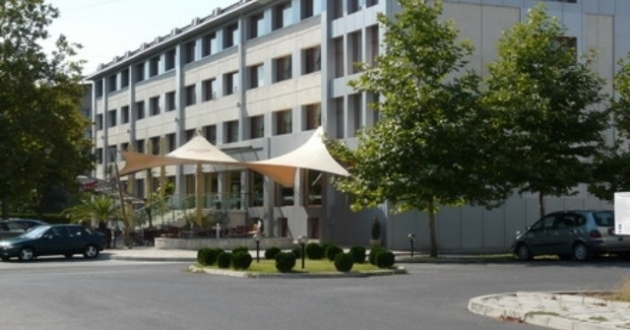 Localiton: hotel Ustra is situated in the central part of the town of Karjali. Accommodation: 39 double and 11 single rooms, 3 apartments and 3 deluxe rooms. All rooms are equipped with cable TV, telephone, and mini bar. In the hotel: lobby bar, restaurant, room service, cash-desk, individual laundry and ironing, wireless internet, parking, fax, copy services, beauty center, hairdresser, conference room.